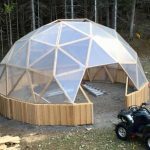 Build a geodesic greenhouse! | DIY projects for everyone! 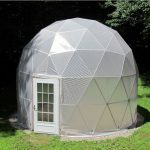 Home Uncategorized Build a geodesic greenhouse! Do you need a greenhouse design that can be built in a small garden? But at the same time, one that will still give you an abundant produce despite the limited space? One that is not a permanent structure? And one that can withstand harsh weather? A geodesic dome greenhouse is all that! As mentioned, a geodesic greenhouse lets you easily grow an abundant produce as they provide one of the best atmospheres for plants to grow. This is because the structure has the least amount of surface area and yet generates the most volume in terms of yield. Meaning heat does not easily escape the greenhouse, providing a nice environment that plants love. Here, you are saving on energy, materials and labour cost. And by growing your plants vertically, you can definitely maximize the space in your greenhouse and get as much harvest as possible. Another reason to love a geodesic greenhouse, is it allows for optimal light absorption. Since it is a sphere, it catches light no matter where the sun is. This is perfect for places that get very minimal exposure to sun as one would have to grab every chance that sunlight is shining on their area! 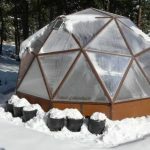 The third good thing about a geodesic greenhouse is its ability to stay strong and stable under strong winds and even during snow. This structure is really sturdy that even taking one triangle out of it will not weaken the whole structure. Because of this, your greenhouse is movable as well! Meaning that should you move to a new house or place, you can take your geodesic greenhouse with you! And last but not the least, it’s a stunning structure – definitely the type of greenhouse for those particular with aesthetics! 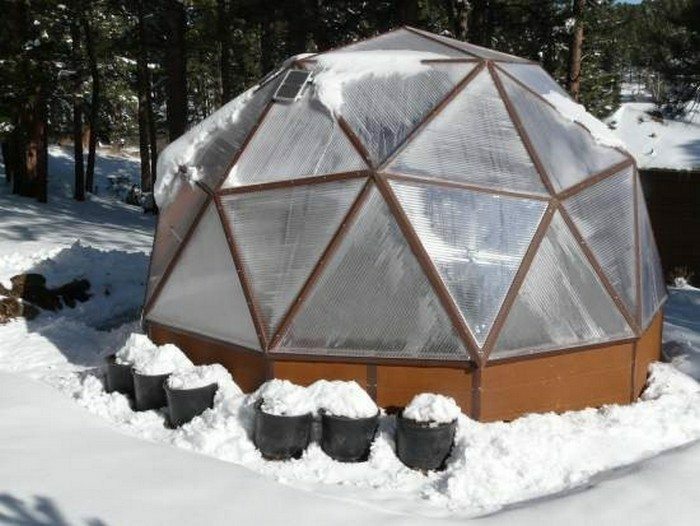 So is this the kind of greenhouse that you would like to have in your yard? Next articleMake your own glow in the dark stepping stones!